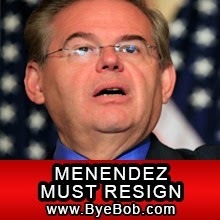 ARRA News Service: Bob Menendez Indicted! Time For Him To Resign! Bob Menendez Indicted! Time For Him To Resign! by Phil Kerpen, Contributing Author: This is NOT an April Fools joke. Senator Bob Menendez of New Jersey has been formally indicted on public corruption charges by a federal grand jury. Unfortunately this is not a surprise as he has been responsible for a lot of sketchy behavior involving his eye doctor friend Salomon Melgen, including a $500,000,000 contract putting Dr. Melgen in charge of port security for the Dominican Republic. As I said earlier last month, Bob Menendez must resign, and you were urged to encourage him to do just that by sending him a letter by clicking here. This is only the beginning of his legal troubles and there is no way he will be focusing his time and energy on improving the state of New jersey - you can rest assured though he will do whatever he can to avoid jail time. 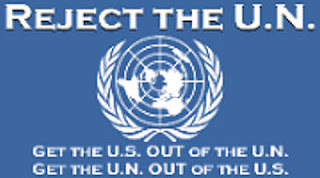 He even has the audacity to stay as a ranking member of the foreign relations committee, this makes him an international face for the United States government, which is damaging to our national interest in so many ways. Tell Senator Menendez to do the right thing and resign from office by clicking here, so his state and our country are not collateral damage as he puts all his energy on staying out of prison. Tags: Phil Kerpen, American Commitment, Bob Menendez, Indicted, Time For Him To Resign To share or post to your site, click on "Post Link". Please mention / link to the ARRA News Service. and "Like" Facebook Page - Thanks!